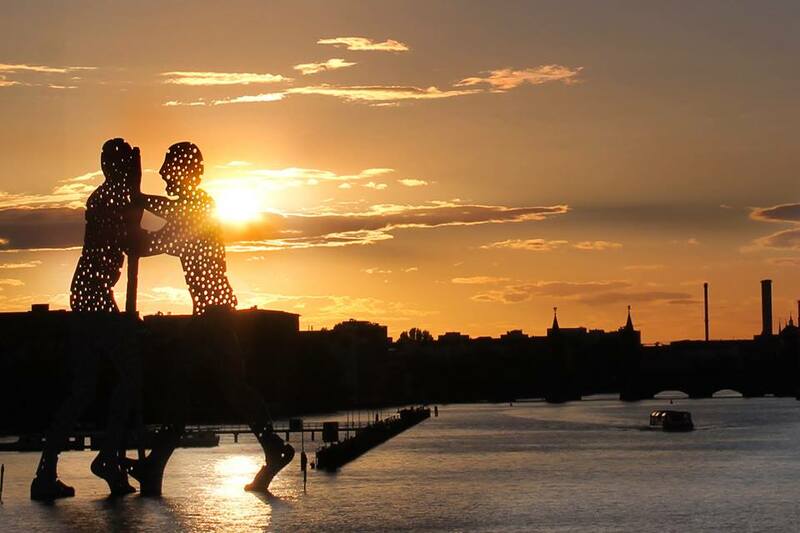 Berlino Magazine and Berlino Schule organize a photo contest to show the beauty of the German capital. The contest #quantoèbellaberlino gives you the chance to win a German course during Berlino Schule’s Summer School, which will take place from July to September. The topic of this year’s contest is Berlin’s beauty: every corner of this amazing city leaves all the people open-mouthed and breathless. Just go for a walk near Hackescher Markt or go to the Kreuzberg district and you will be enchanted. The pictures in the competition must capture characteristic corners or little-known landscapes, which can fully express the magical beauty of the city. 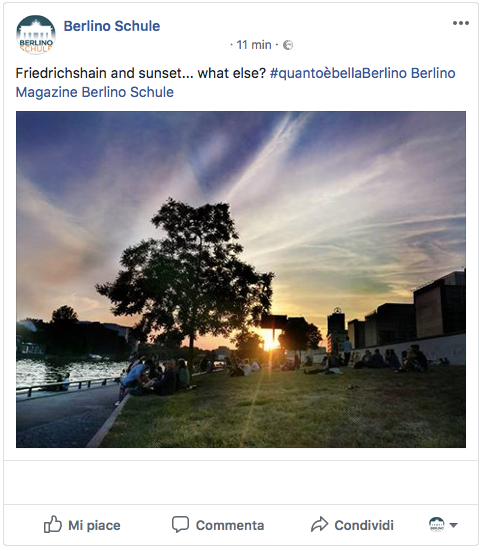 All the posts will be reviewed by the team of Berlino Magazine and it will then share every photo within 24 hours from the publication on the album #quantoèbellaberlino – Contest fotografico on Berlino Magazine’s facebook page. The deadline for entries is July 1st 2018, 00:01 a.m.
Our team will select the winner (aka the picture that will have received the highest number of likes on the page of the magazine – shares do not count, but they definitely help!) on 02.07.2018 at 12:00 p.m. In case of a tie, the picture uploaded earlier will win. We will only consider one photograph for each person. Berlino Schule’s Summer School is the study holiday you’ve been waiting for. The winner of the contest #quantoèbellaberlino will have the chance to attend a super intensive course of two weeks, five hours per day (from Monday to Friday). The school is located in Friedrichshain, one of the most beautiful, lively and safe district in Berlin. There will be morning (9.15-13.30) and evening (14.00-18.15) classes. The second prize is a dinner for two people at the restaurant MedEATerranean TRIP, in Gabriel-Max-Strasse, 19 – 10245 in Berlin. During the dinner two glasses of wine are also included. Third prize: Beer, beer, beer! The third prize is a taste of handcrafted italian beers accompanied by an appetizer, at the italian pub Birra in Prenzlauer Allee, 198 – 10405 in Berlin ( here our article about the pub’s history). Berlino Schule has entered many agreements with apartments tenants and hostels, all over the city to make the search for an accommodation easier for its students. Good luck to everyone – we look forward to your submissions!